Hi Friends! Thanks for stopping by. Well, I planned to have this posted over the weekend, but as the saying goes, life got in the way. This is the spotlight interview and review that I promised when I ran my first contest for 500 likes on my Facebook page. I will be running another contest when I reach 1,000 likes, so if you haven’t visited my page, don’t forget to go there now after you read this and let’s get it to 1,000! 🙂 You won’t want to miss this! So, let me introduce you to the winner of Contest #1–C. L. (Chris) Swinney!! I will let him tell you in his own words. Take it away, Chris!! Tell us a little bit about yourself; where you grew up, your life, a typical day…anything that you would like to share with your readers. I was born in 1975 in La Mesa, CA. I was an only child, which explains some of why I throw tantrums to this very day (because I was spoiled). My parents worked for the federal government and divorced when I was in high school. I went away to college in an effort to become a professional fisherman (bass tournament anglers often have fishery biology degrees). The math was too tough for me so I settled for Sociology. I met my wife in college and graduated. From there I worked as a probation officer, carrier, private investigator, and a fly fishing store. Fly fishing in one of my greatest passions, which is why I built it into my debut novel. I couldn’t pay the bills working in the fly fishing industry, so I moved on to become a court investigator. From there, I became a correctional officer, a deputy sheriff, and I’ve been a narcotics detective for almost five years. 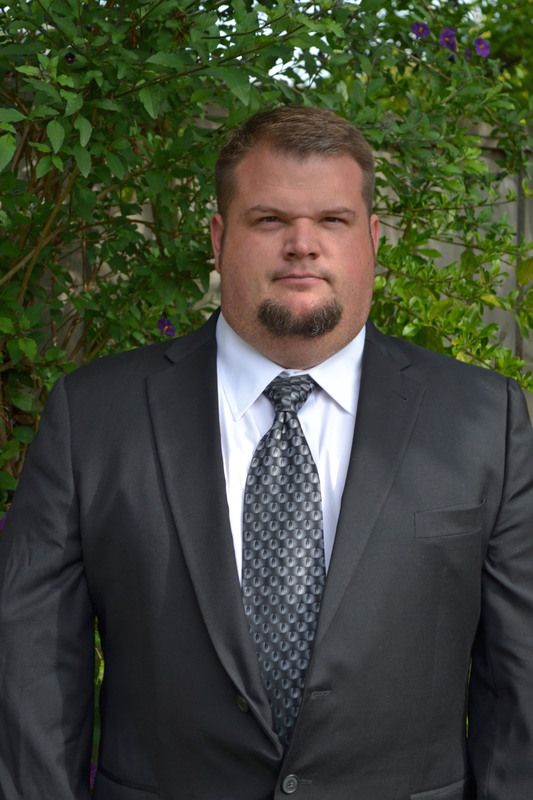 I work all sorts of cases, including undercover, and I’m a presenter to law enforcement groups at conferences around the United States. A typical day for me is getting up (around 6 am) to get the kids ready for school, make their lunches, shower, and head out to the office. On the way in, I’ll get a call from the boss about a possible clandestine lab. I’ll swing by and take a look. If it’s a lab, I will call in the support units with the lab truck and my partners and I will process the lab. We’ll finish this, get something to eat and have a briefing for an undercover controlled purchase buy-bust (law enforcement controls the situation) of a kilo of cocaine. Once everyone knows their assignments, we head out to the area, set up surveillance, and wait. The bad guys talk to the good guys and they show up with narcotics. We jump out and arrest the bad guys. Bad guys go to jail and I get a call to be at court the following morning. I go by the office, grab my report for the case, and notice another team is gearing up for surveillance on a big case. They ask me for help and I don’t hesitate to say “yes.” It’s now 8 pm. I get home around midnight. I’ll write until 2 am, go to sleep, and repeat the same process the following day. It’s busy, that’s for sure. Have any authors influenced your writing? If so, how? I fell in love with Tony Hillerman’s ability to drop his readers right into a story in a desolate dessert. He was a fascinating storyteller. He influenced my writing because I read every single one of his books, several times over, to try to learn the craft. His ability to explain things clearly with fewer words was my main goal in my writing. Understandably you write crime fiction. Is this also what you prefer to read or do you read different genres in your pleasure reading? I’m a huge fan of crime fiction, but I also read police procedural, YA, non-fiction, and romance, basically most everything. I’m lucky to read very fast, so I squeeze a book in a week. I’m not much of a purist. If authors mix genres, they need to be good in both; otherwise, I’d say it’s a mistake to do so. Romance and crime fiction seem like a good fit because law enforcement members always have relationship woes. I’m dabbling in a bit of romance in the second book of my Bill Dix series, but my characters are treading water very lightly. What do you like best about being an author? Your least favorite part? I truly enjoy being able to captivate people with my stories. That, and sharing what I know with up and coming authors really makes me happy. The least favorite? I’d say the constant need to promote my work to compete with millions of other books in the market. Working full time, writing, and promoting full time is a serious drain on my personal life. If given the opportunity to sit down and chat with your favorite author, living or dead, what would you ask him/her? How would you answer that about your own writing? I’d love to pick Tony Hillerman’s brain. Just a brilliant writer. I’d ask him if he visited the places he wrote about and if he enjoyed writing his stories as much as I did reading them. As for me, I’d answer the first question with a yes and the second question emphatically YES!! I know that you have a very demanding full-time job. Is writing a sideline for you or do you intend to become a full-time author in the future? Please elaborate. I don’t think I can afford to quit my “day job.” Raising two kids and all the other bills life throws at us is tough. I do write full-time, meaning I can get stuff done fairly quickly. But I take breaks, especially during the summer, to spend as much time as I can with my family. At what age did you start writing and when did you decide to seriously pursue fiction writing as opposed to real crime? I began writing in college, I was about 19. I wrote magazine articles and poetry. I decided to pursue fiction instead of real crime because I’ve written hundreds of police reports and I didn’t want to write another one. I love true crime books, but I wouldn’t like interviewing the bad guy. I treat people fairly, but some of these people would require a large amount of restraint on my behalf. I don’t know if I could do it. Outside of your work, do you incorporate any of your favorite things, places or hobbies into your writing? I scoured books in several genres making sure none was written quite like mine. I infused the outdoors (Bahamas and Miami) with fly fishing, narcotics, and suspense. These are all things I love and know about, so I figured I could write a pretty good story about them. What movie do you refuse to watch no matter how good people say it is? What book do you refuse to read? Why? I heard a ton of folks suggesting Django Unchained. I just couldn’t wrap my mind around the plot, storyline, or characters that were casted. I didn’t go and refuse to watch it. I will not read The Cuckoo’s Calling by she who shall not be named. I have so many issues with the author, from using another author’s name to “slipping” the real identity to promote a struggling book. Hype doesn’t equate to superb writing. And before you ask, I absolutely love the Potter Series. I’m just not a fan of this latest attempt by a billionaire to “try it on her own.” Really?? Do you have a favorite character either from your own work or from another author? Jim Chee, Hillerman’s books. Chee is a man with faults and short comings who’s working in law enforcement and trying to fall in love. He reminds me a lot of myself. He’s a believable character, a deep thinker, and witty. I love how his life unfolded in Hillerman books. Tell us about your most recent protagonist. Is this from a current work in progress? Bill Dix, a sergeant working in a narcotics task force based in Miami, has some gray hair and has been through quite a bit in his career and life. He’s happily married and generally makes sound decisions. His best trait is that he can interrogate the best crook and extract information. His worse trait, he’s stubborn as a mule. I let a few more of his interesting traits come through in the second of the series, The Collectors. What is the setting of your current work in progress and when can we expect to see it? The setting for The Collectors is San Diego and Tijuana, Mexico. The group under investigation has ties to both areas. I’m hoping for a December-January release date. Last question, we all know that reviews are important, both for the author and the reader. Speaking strictly from your point of view as a READER, how much importance do you place on the reviews as to whether or not you buy the book? Why? So this is a weird one for me. I pay attention to reviews, but I read the one, two, and three star reviews first. I try to get a sense of what the issue is. I don’t think it’s realistic for a book to have all five star reviews either. If the book blurb catches my attention, I tend to look pass the reviews if there are a lot of poor ones. Basically, I try to give authors the benefit of the doubt. I will say this, with eight million books on Amazon alone; reviews are super helpful to the millions of readers out there trying to wade through all the books. If you have any questions for Chris, here is his contact information and he would love to hear from his readers and answer any questions. I was lucky enough to receive a free copy of Chris’s debut novel, Gray Ghost, for an honest review in exchange for winning the contest and being featured here. This in no way affected my opinion. 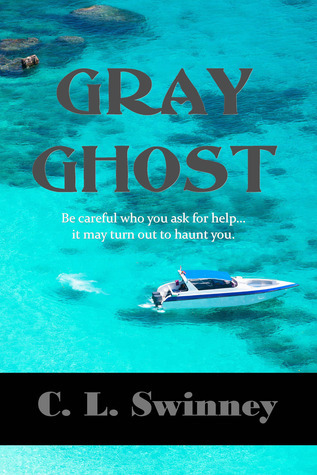 Grey Ghost, C. L. Swinney’s debut novel, is a crime thriller. It is a police procedural mystery and will attract lovers of crime from any sub-genre. While on a fly fishing vacation to Andros Island in the Bahamas, Miami Dade Police Department Narcotics detectives, Bill Dix and Steve Peterson, are thrust into a local mystery. Their guides, they discover, are suspected of being murdered while transporting a hundred million dollars worth of cocaine in a speed boat. They help local authorities, (some of whom are not good guys), apprehend the mastermind, known only as “The Caller.” It looks like fishing will have to wait! That is all of the description I will give. There are plenty of blurbs that you can read if you so desire, but I am not giving any spoilers! 🙂 I’m just suspenseful that way..haha. You are just going to have to read the book. Ok, now for my opinion of Gray Ghost. Description: I have never been out of the U.S. The Bahamas is painted like a portrait on a canvas! The area comes alive for me as a reader and I am plunged directly into the setting. It has been said that setting can be like a major character, and character is what makes the book, in my opinion. This is some of the best I’ve seen in a debut book. Characterization: The main character, Bill Dix, I can see plainly. He is a “Dudley Do Right” and will not fail to lend a hand when injustice is afoot. He is a strong character and so is his sidekick, Steve Peterson. I would like to learn more about Steve. He is an enigma so far. The locals were very colorful and believable and enhanced the setting of Andros Island. Pacing: The pacing was perfect for a thriller. It grips you from the first page to the last and it’s hard to put down. Grammar and Typos: This is usually the biggest problem for any debut novel, whether self published or traditionally published. I can be a stickler for grammar if it is apparent that it is more than a typo. A typo here and there is normal and doesn’t distract me too much, but yes, sadly, I have been known to be a grammar Nazi. I am happy to report I noticed nothing. This was one of the most grammatically sound novels I have read in a long time–debut or not. I don’t expect perfection in a debut novel, I really don’t. Like everything, there is a learning curve and we get better the more we write. A book has to really knock my socks off for me to give it a 5 star review. Well, Gray Ghost has gone and hit it out of the ballpark!! Gray Ghost will be on sale from Oct. 31-Nov. 4th for $.99!! But if you can’t wait to read it, it is worth every penny of the full price. You can get it here in both Kindle and paperback: http://www.amazon.com/Gray-Ghost-C-L-Swinney/dp/1610091078. This entry was tagged Andros Island, Bahamas, Bill Dix, blog, books, C.L. Swinney, contest winner, crime, debut, detective, fly fishing, Gray Ghost, interview, Miami Dade, mystery, review, spotlight, thriller, Tony Hillerman. Bookmark the permalink. Geez, this was so cool. I am so happy you liked Gray Ghost and was very fortunate to win your first contest. Thanks so much for doing this, it was amazing.